As a general rule, I love improvising in the kitchen. But when it comes to baking from scratch, I am more than a little intimidated. Who wants to go through all the hassle of measuring, mixing and baking if you aren’t positive how it will turn out? Certainly not me. 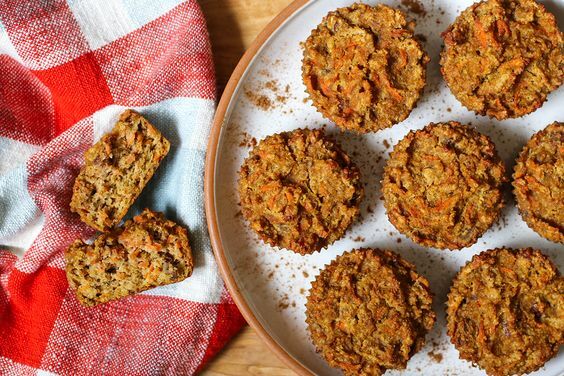 However, I recently found myself in possession of an abnormally large bag of carrots, and, when a brand new bag of Honeyville almond flour arrived at my door, I knew I wanted to make some sort of carrot baked good. Thankfully, I resisted the urge to make carrot cake (one of my faves) and decided that I’d try and make carrot muffins from scratch. To my surprise, the results were fantastic! 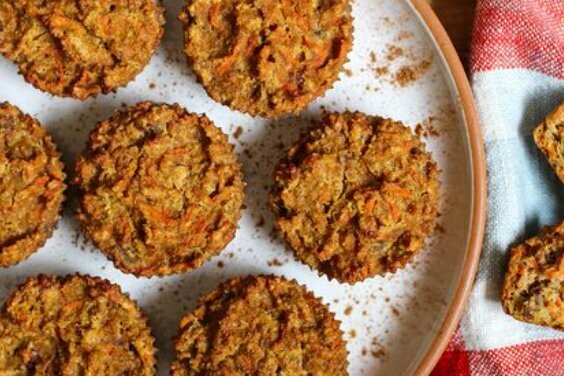 These muffins are perfect for breakfast, especially if you’re on-the-go. They are pretty dense so I like to make more muffins and have them be a bit smaller. However, if you’re into gigantic muffins, feel free to pack more batter into your muffin cups and yield a few less. If you make larger muffins you may need to increase the cooking time by 10-15 minutes. Mix almond flour, coconut flour, baking soda, salt and spices in a large mixing bowl. In a separate bowl, combine eggs, coconut nectar, coconut oil, almond milk and stevia, to taste. Pour wet ingredients into dry and mix well. 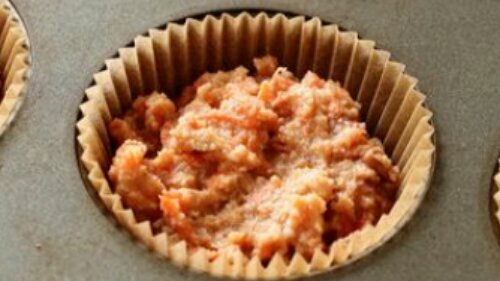 Fold in grated carrots. (Pro tip: use the grater add-on from your food processor instead of manually grating. Much easier!) Once combined, add chopped pecans. 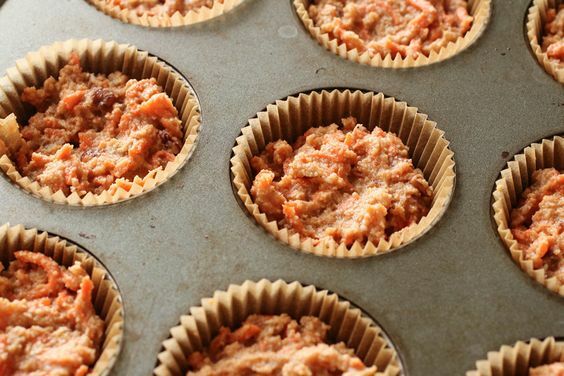 Scoop a spoonful or two into unbleanched baking cups in your muffin pan. This batter should yield 12 muffins and will sit about ½ inch from the top of the baking cup. Bake at 325 for 40-45 mins until tops are golden brown and a toothpick can be inserted and come out clean without sticking to the batter. These muffins are incredibly moist and may take a little longer to bake depending on your oven. Make sure to test them around 35 minutes or so and keep a close eye on them. Hi Michaela! Yes, you could do without the coconut nectar. I might recommend adding one additional TBS of coconut oil and a DROP more of almond milk to make up for the missing liquid in the recipe. But you should be fine doing without it!